LOCAL AERO. 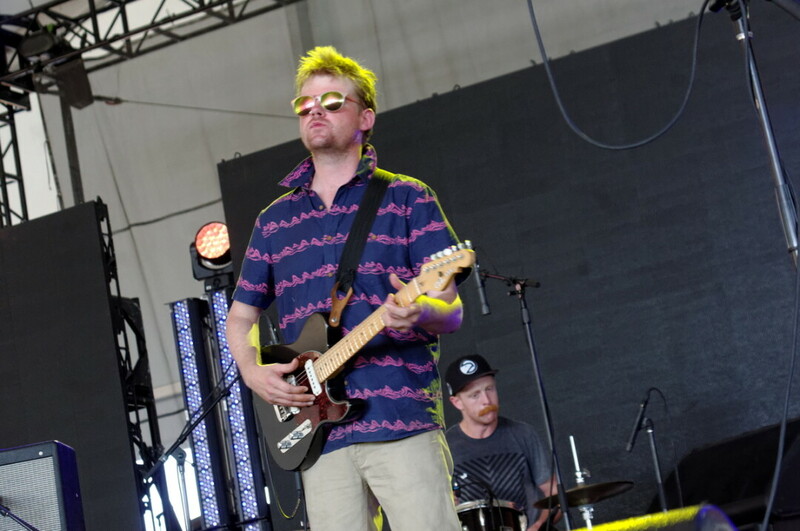 Josh Scott and his band, Aero Flynn (show here at the Eaux Claires Music & Arts Festival), will headline UWEC’s inaugural Local Aire music festival. Post-Eaux Claires Eau Claire is a pretty cool place to be a part of. We’re intoxicated by the notion that our city has an incredible musical influence and a pretty impressive local lineup. It’s exactly that idea that inspired and drove the much-anticipated Local Aire Festival to be created and held for the first time on Saturday, Oct. 3, in the Ojibwe Ballroom at UW-Eau Claire’s Davies Center. When Nick Doherty, co-chairman of The Cabin committee, first had the idea back in March to bring a local musician or two to campus, his supervisor suggested reaching out to the Chippewa Valley’s most recent huge success story, Aero Flynn (composed of a mix of Eau Claire and Minneapolis musicians Josh Scott, Adam Hurlburt, Mike Noyce, Dave Power, and Ben Lester), which has spent the last few months touring all over the world. The band was on board right away to do something on campus, but as the possibility of hosting them in The Cabin faded for logistical reasons, the idea shifted to use them as a headliner, invite other local musicians to be a part of the lineup, and change the location accordingly. University Activities Commission adviser Nicole Rindone shared that the triumph and experience of Eaux Claires only motivated them further to make this a successful showcase of local talent – and Nick agreed. Local Aire will feature two stages in the Ojibwe Ballroom with local acts Sayth (eccentric hip-hop by Eric Wells), Waldemar (featuring Gabe Larson, previously of Reverii), Two Castles (lo-fi experimental tunes by Eric Christenson), D. Janakey (folk music by David Janecke), Len Voy (three-piece indie folk that has opened for S. Carey), and Lauren Anderson (folk/indie). Since Nick attends quite a few shows off campus and is friends with some local musicians, it wasn’t hard for him to create the enticing lineup. Some would argue that Local Aire is really more of a concert than a festival, but the organizers disagree. Nick and Nicole said that the celebration of local music, the bands on the ticket, and the vibe they’re culminating all propel Local Aire into the “festival” category. Besides the great music, Local Aire will offer refreshments during the day, some interesting lighting aspects outside the venue (to add something different and give students with technical skills opportunities to be involved), and possibly – if all goes as planned – a bar with alcohol to of-age festival-goers. Since this is the first year of Local Aire, Nick and Nicole admittedly aren’t quite sure what to expect but are certainly optimistic about what they’ve put together. When asked what he expected, Nick shared, “I really have no idea. … I knew we’d have to nail promotion since it was a pretty quick turnaround from the beginning of the school year, but I really don’t know what to expect. … I can only think of good things. I think they’d really be missing out if they didn’t come.” His ideal outcome is to fill the Ojibwe Ballroom to its capacity of 700 attendees and create an event that continues annually in the fall semester beyond his time on campus. Nicole added that students so far this year have been particularly involved in campus activities and that they’re excited to introduce students to the city’s eclectic music offerings. “If it goes really well and people are excited about it, we’d hope to make it annual,” she added. One of the coolest aspects about this is that it’s a 100 percent student-planned event.